This is a picture taken at a residence that we are starting to do work at. This installation was done recently by another electrician that was doing work at the property through another contractor we believe. There are multiple problems with this installation. First the transformer is being supported by the UF wire which is feeding it. 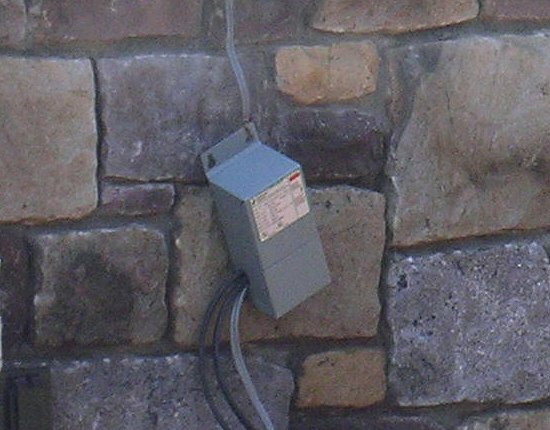 The transformer is not rated for damp locations, and does not appear to have any type of inline fuse. The wires are entering the transformer without a connector, and both the low voltage and high voltage wires pass through the same knockout. 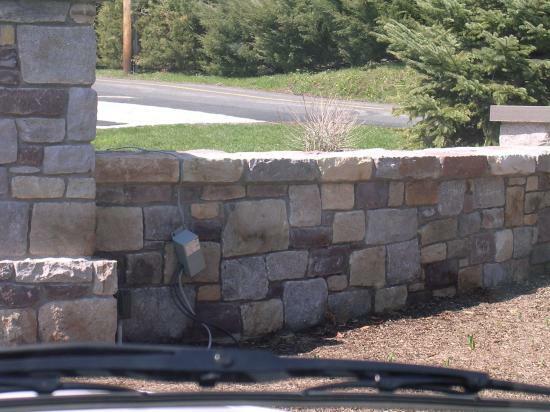 The wires are also not secured properly to the stone wall.